Even if the food not too great, I think this place is a nice place to hangout with friends. 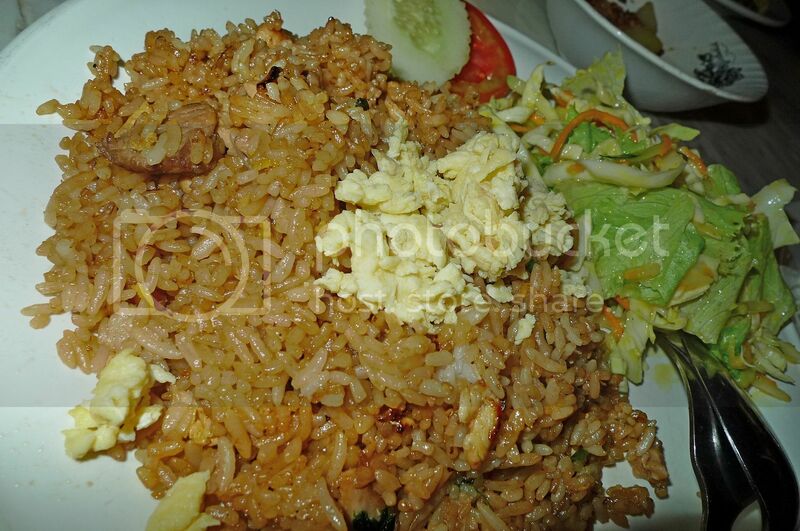 Wow drooling at the nasi campur. Must have more than 8 kind of dishes in there? kerapoks are what kind of crackers? Cassava or fish? ohh then dipping it into mayo would be nice right? I like gado gado (Indonesian salad) too. Seemed like the food over there are not as great as it was made out to be. It's like that sometimes. People can rave about a certain place as a must-try but in the end the food turned out to be just so-so. what i did right now is i enabled the comment moderation so that i can scan the comments before publishing.. Cool decor. Have not tried Bali coffee so you reckon no umppph? Wow your nasi campur got lots of varieties. You cant remember the curry let me help you..looks like chicken but taste like beef ~;) haha. tQ. Thank you for sharing your curry! 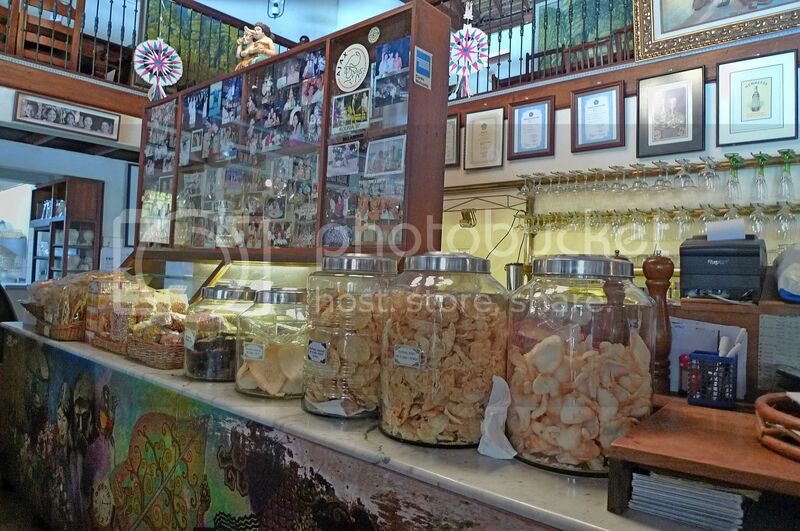 wow....the keropok. So many varieties. Wow..western? Japanese, Indon and Balinese? Looks like their chef is really good aye. 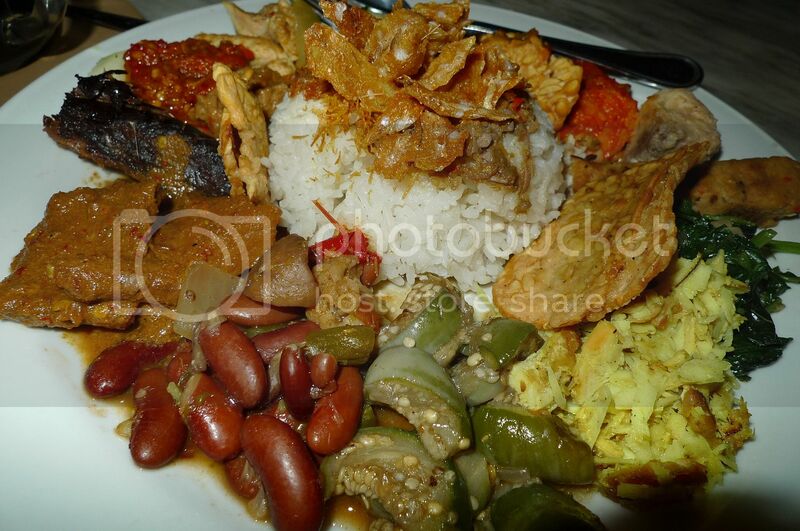 wow, that plate of nasi campur!! really super-duper heavy to me!! did you finish that all by yourself?? the fried rice and the curry dunno-chicke-or-beef looks just nothing special to me though..
BTW, i think the curry must be beef.. because it looks like beef to me, chicken pieces don't look like that with such kind of bones..
yeah, i am impressed by the varieties of keropok too.. have you tried every single one of them?? hmmmm, luckily i've not been to this restaurant.. well, i might expect so, since next to Hard Rock hotel, sure the price is on the higher side.. 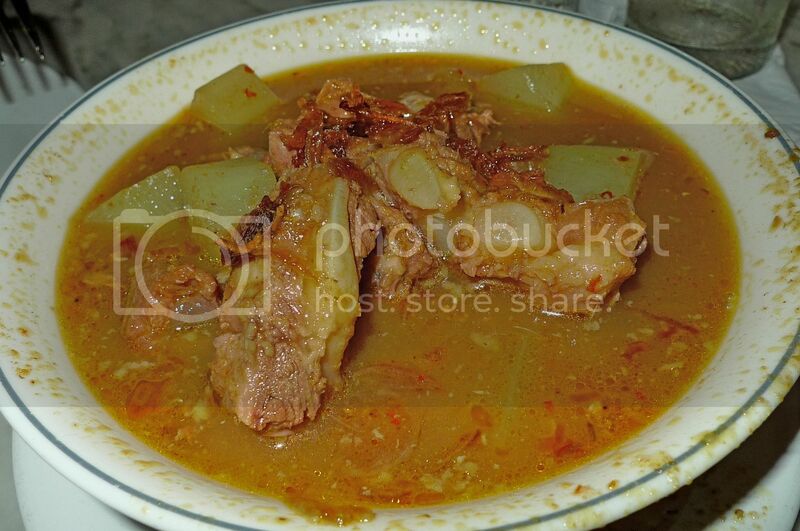 I've never had Indonesian food before but they sure like good from your pics. Definitely different from Chinese food! You know, I always try out coffee whenever I dine at new places. So far, Vietnamese french coffee with condensed milk is my fave. 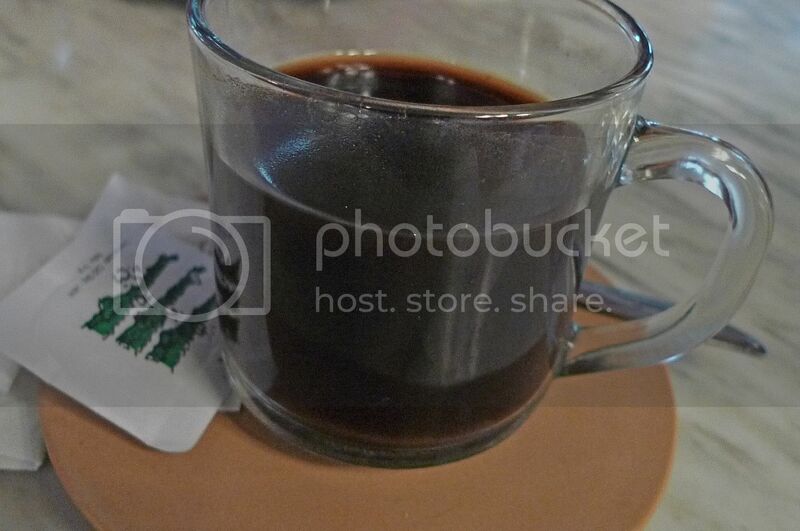 Your Bali coffee looks like just dark coffee. Am I right? apa angin claire can get FC here adoi??? lina, yes it's quite a nice place to hang out, I think. bluedreamer27, you like coffee a lot don't you? Haha! But I don't think you will like this coffee cos I don't find it that good! The paintings are nice indeed! Add catsup to the fried rice? I don't think I like adding catsup! Haha! Ooh, Kare kare? Sounds cute! Haha! 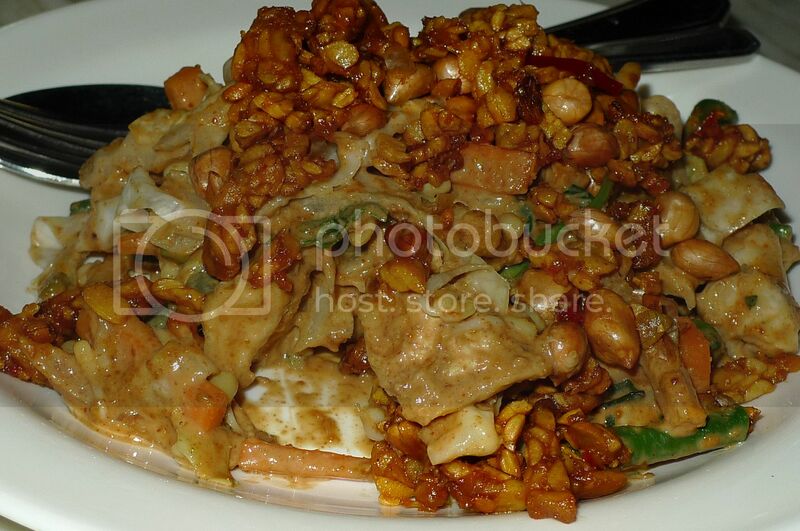 Good and nice gado gado! Haha Pete, jangan lah suka gado gado banyak . Foong great entry on Bali love all the food and the nice tour. Quite like the set up of the restaurant. Read from your past entry you had migraine once and I have just posted something on breathing exercise *btw not heavy breathing stuff ok* which worked on me when I had headache or migraine ah whatever you call it..check this out..
wow..nice authentic food there...looks good. Thanks for sharing such nice photo of some delicious dishes. 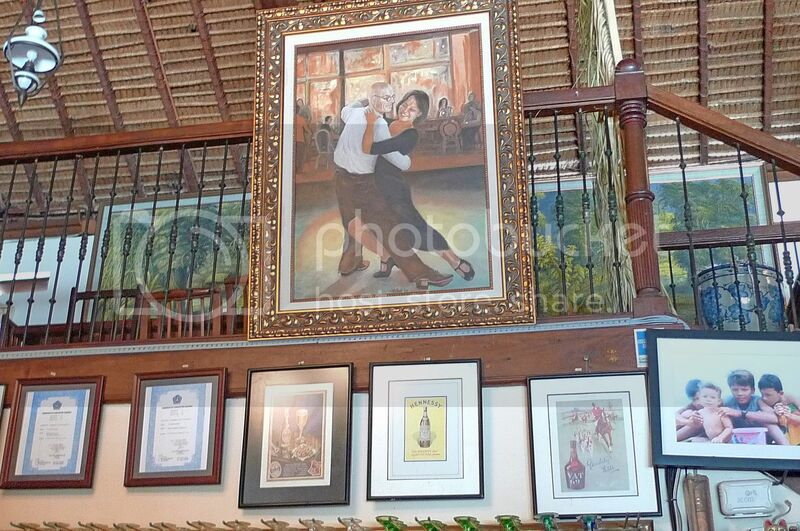 The restaurant is also well decorated. i always think kopi O is the best drink ever! 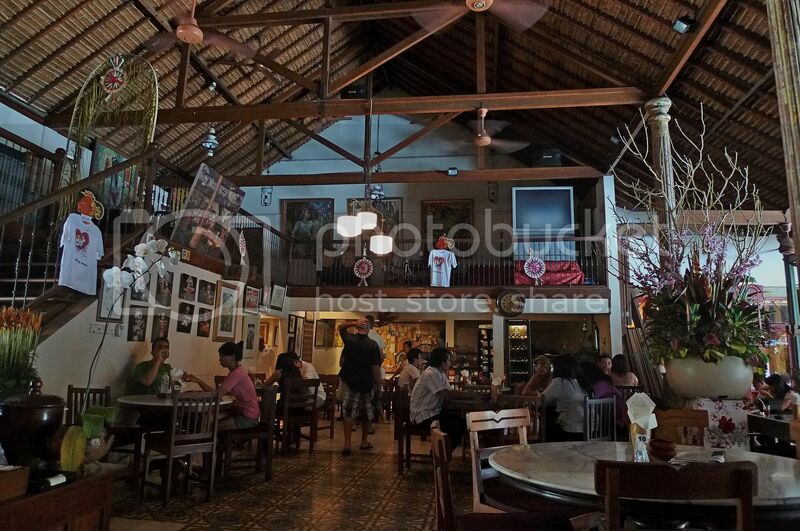 The environment of the restaurant is very attractive. The food they serve is similar to the foods served in some parts of Australia. I hope you enjoyed the food. Thanks for the post. Bye.